I promise that it is a complete (happy) accident that I am sharing a Star Wars project with you on Star Wars day. 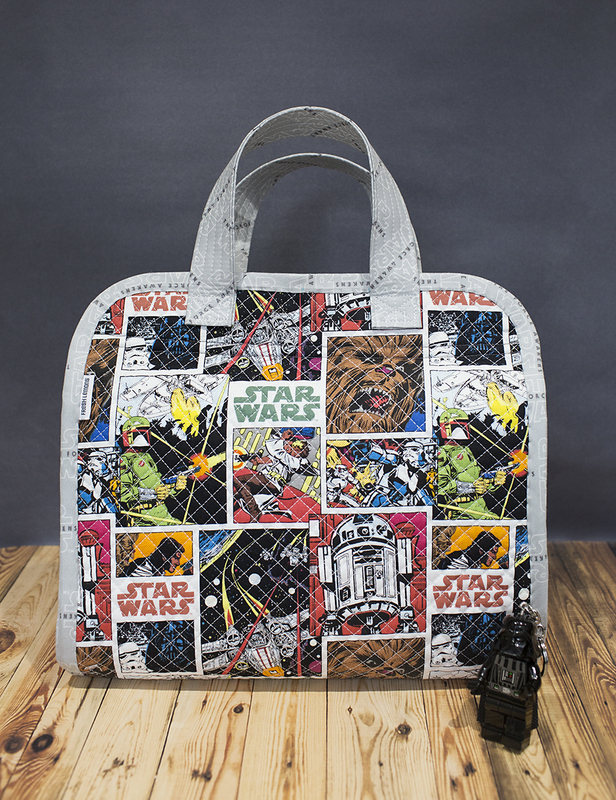 Hopefully you all didn't think you would escape the frenzy of the latest Star Wars movie coming out today by visiting a quilting blog. ;) What can I say? I have a 6 year old boy who loves all things Star Wars. Did I also mention his favorite color is orange? Those two facts make me certain he is going to love his Maker's Tote on Christmas morning. This is the second Maker's Tote (pattern by Noodlehead) that I've made, and it went much faster this time around. I made them back-to-back so I wouldn't forget the pattern. On this tote, I made the same minor adjustments/personalizations to the pattern - you can find the details listed in this post. I did have an "opps" this time though. I accidentally put the zipper pocket on the outside 1" too low. That's what comes from thinking you have the whole thing memorized and moving too fast! Probably not a huge deal though, I am certain my son won't notice. 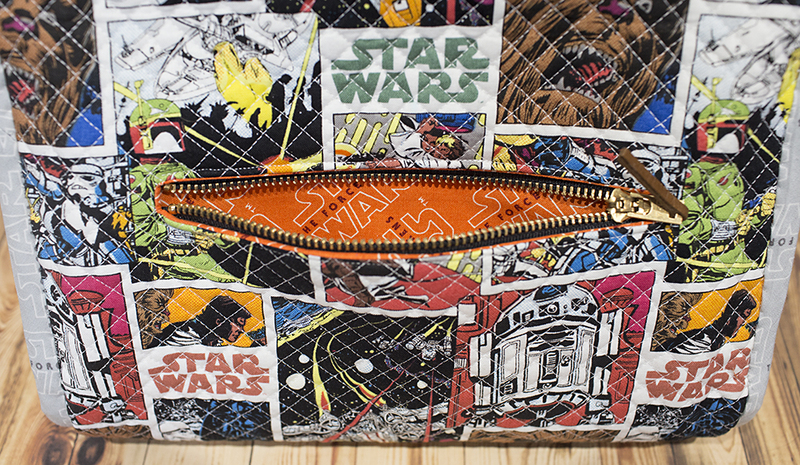 For my fabric selections, I used a variety of Star Wars prints. The outer print is...well...pretty loud. I joked that I felt like Chewie was yelling at me the entire time I was sewing this tote. Sometimes you just have to sew for the recipient though, am I right? 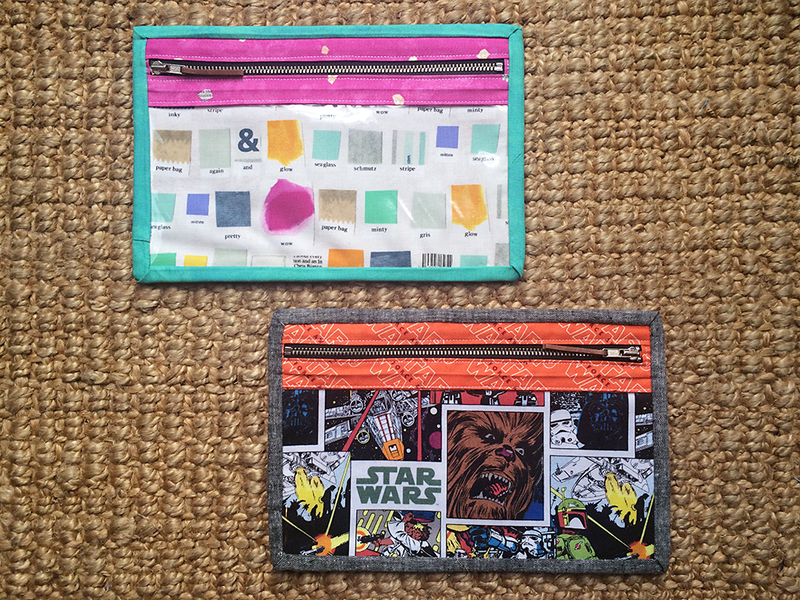 As a last minute idea, I also decided to make my kids little vinyl fronted zipper pouches to coordinate with their Maker's Totes. I sort of just made this up as I went, clearly feeling confident after making a few Noodlehead bags lately! I used 16 gauge vinyl on the front. The fabric you are seeing is actually through the front of the pouch. It's a bit easier to see on my daughter's finished pouch, with the markers zipped inside. I think they turned out pretty cute, and will be great additions to their Maker's Totes. It's something they can put a few markers inside and bring into restaurants (or any other "boring" location) when we go out. I can't wait to see their reactions - one more week!